We’re offering an array of films this weekend in the free screening series Dream a Little Dream: Artists in Film. 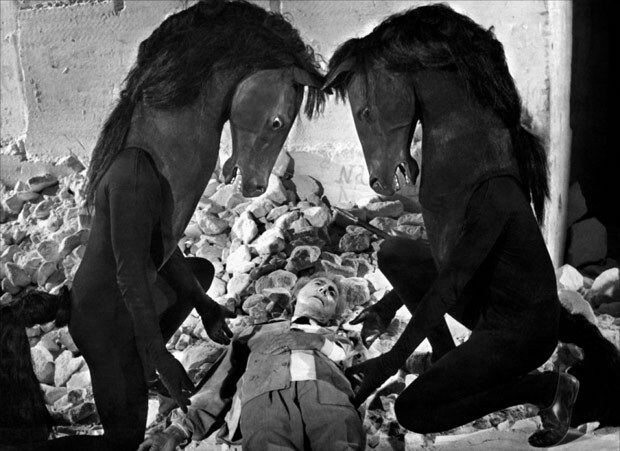 I’m particularly looking forward to our Jean Cocteau double feature on Saturday, when Blood of a Poet and Testament of Orpheus screen back to back. Maybe because it’s easy to lump French films according to their circle of friends, one typically encounters Cocteau’s first film, Blood of a Poet (1930), on the heels of having watched Luis Buñuel’s early masterpieces Un Chien Andalou (1929) and L’Age d’Or (1930) and other works by the Surrealists. 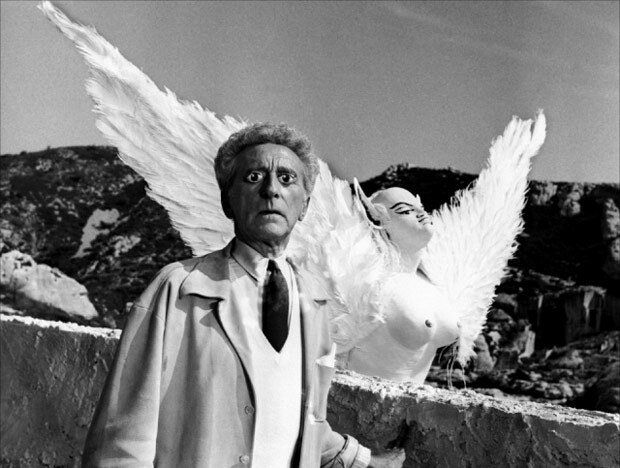 But you soon realize that Cocteau is in a separate dream world all to himself. Blood of a Poet feels the most profoundly dreamlike, yet Cocteau always made clear that it drew nothing from dreams, symbols, or Surrealism. 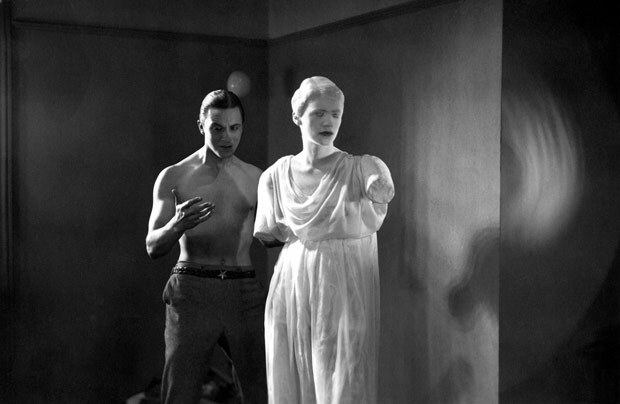 Without trying to interpret Blood of a Poet’s evocative images—I’ll leave that fun part up to you—the film’s “downtempo” movements, and the non-linear structure Cocteau used to tackle his vision of the poet’s artistic process and struggle, may tempt you to just give in and experience the film as a 50-minute dream. Blood of a Poet may draw nothing from Cocteau’s own dreams, but the way it choreographs everything from bringing a statue to life to falling through a mirror portal, peeking at opium smoke through keyholes, and a couple of suicide-triggered gunshots to the head, Cocteau uses film as one more visual license to dream poetic. As in a dream, the back and forth of images Cocteau presents don’t come as startling surprises, but as pleasant, strange encounters. 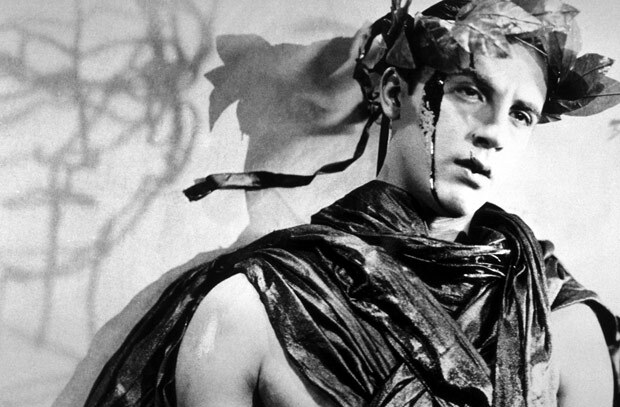 Screening after Blood of a Poet is Testament of Orpheus, Cocteau’s final film. 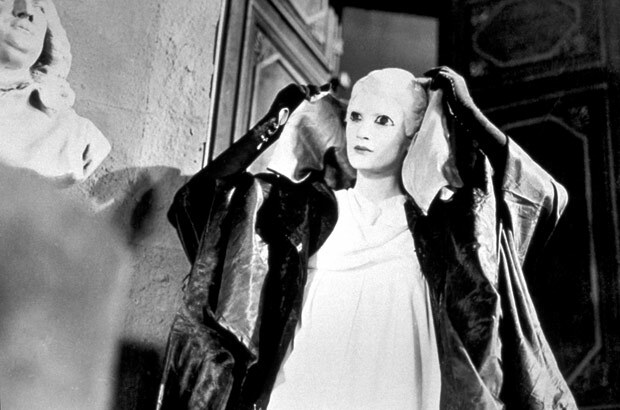 Testament of Orpheus (1960), the conclusion to the Orphic Trilogy, continues the conversation on the artistic process, features Cocteau himself traveling through the space-time continuum—along with cameos from Yul Brynner and Pablo Picasso—and is more fun than a Twilight Zone episode. It would make for an interesting change of pace if more of today’s films were willing to let go and dream on screen. Stills from Blood of a Poet (first three images) and Testament of Orpheus (last two images) courtesy of Tamasa Distribution. 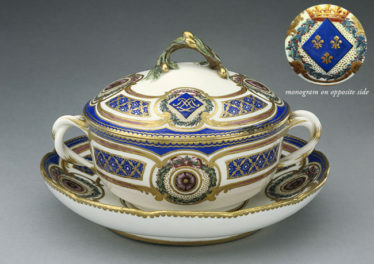 © Tamasa Distribution. 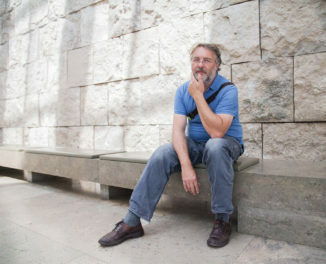 Ramblin' man, son of a gun, art lover, cinephile... media relations pro.